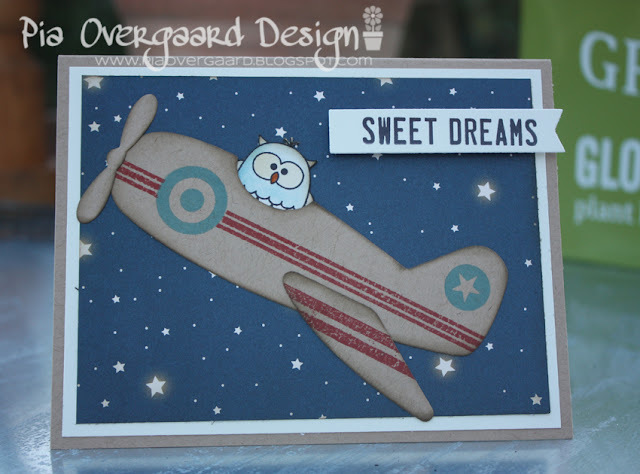 I am sending this little owl off with some sweet dreams ;) It is late here and I am off to bed, not much cardmaking lately as I have been busy with having guests over and finalizing the potting bench - made by my husband, (see below). The sweet owl is from Hero Arts, the airplane is from this set from MFT and so is the saying. The paper is from October Afternoon. The potting bench is now finalized! Inspired by several pins, I asked my husband if he could make a potting bench for my greenhouse. He had never made anything like this before - I think he did a wonderful job and I am so so happy about this! The wood used is brand new pine. I aged the wood using this technique by Common Place Beauty using Annie Sloan Chalk Paint (white linen) and Annie Sloan Dark Wax. The bench has two semi-open cabinets which are both lined with chicken wire on two sides. The top is covered with a thin plate of zink. Your card is adorable! Those stars look like they are actually shining. That owl is in for one sweet ride. 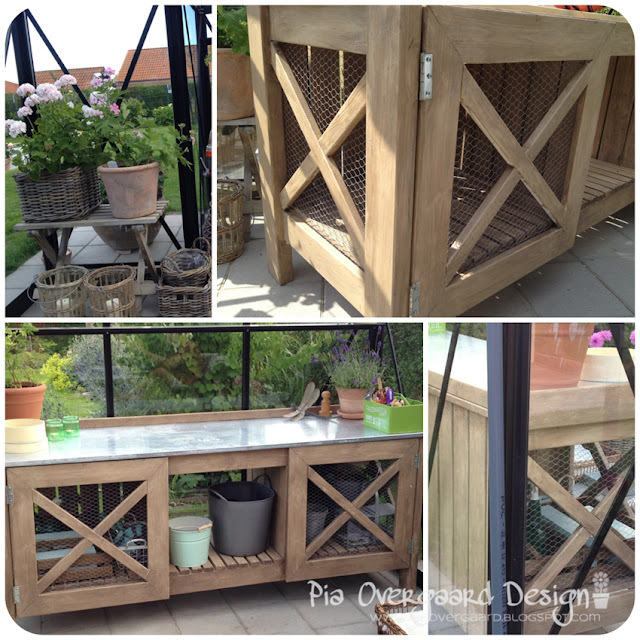 Your potting bench is amazing!! That is some craftsmanship! Super nuttet kort - og MEGET dygtig Jan du har. Forestiller mig at han har nydt denne opgave med "RIGTIGT værktøj" selvom han også er fantastisk til at afmåle twine og lave små, søde bundter. =0) overvejede MEGET at inge for at kigge forbi Nibe men vores Tour de Scrap var blevet ret overbooket rent tidsmæssigt. Pia, your card put a smile on my face! such a sweet idea.